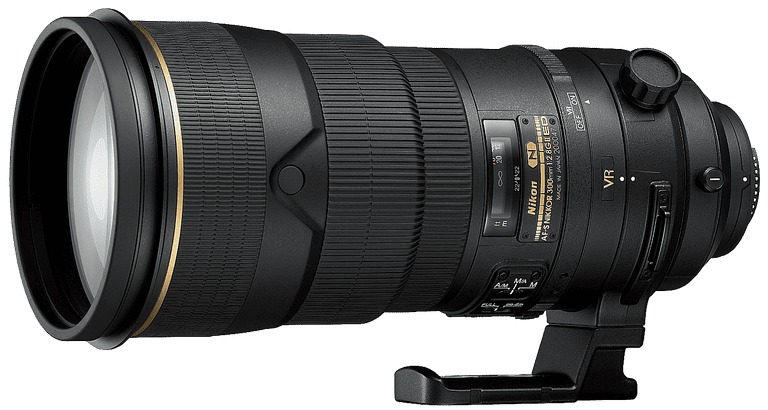 When making the switch from point and shoot cameras to DSLRs or mirrorless interchangeable lens cameras (ILCs), one aspect that can be confusing is the telephoto zoom lens. A zoom lens is a type of lens that can shoot at multiple focal lengths, versus a prime lens that can only shoot at one focal length. While the system used to measure the telephoto range in a zoom lens for an ILC is similar to how zoom in measured on a point and shoot (or fixed lens) camera, there are some differences in the way the numbers are presented that can be confusing. With a fixed lens camera, you probably had a zoom ring that surrounded the shutter button or a zoom switch on the back of the camera. Press the zoom ring one way to advance the zoom range to a more telephoto setting, and press it the other way to create a more wide angle setting. With a DSLR or mirrorless ILC model, zoom is achieved by twisting a zoom ring on the lens itself. A few advanced DSLRs offer a power zoom option, which allows you to use a switch to advance the zoom, but it depends on the type and brand of lens and camera you own. When trying to determine the focal length range of a zoom lens, you often see it listed as part of the name of the lens. For example, you may see a lens with a range of 25-200mm with your DSLR or mirrorless ILC model. With the point and shoot camera, the measurement of the focal length of the zoom lens is similar, showing a range. However, this range is not listed as part of the camera’s name. You’ll have to look for the range in the camera’s specification list most of the time. Fixed lens camera makers don’t widely use this measurement in marketing materials. With a point and shoot camera, the more commonly used measurement to indicate the focal length of the camera’s zoom lens is the optical zoom measurement. This measurement will be widely promoted in marketing materials, and it’s also listed in the specifications. With the point and shoot camera, the focal length range measurement is typically listed after the optical zoom measurement in the specifications list. The optical zoom is always listed as a number followed by the letter X. So, a camera may have an optical zoom measurement of 8X. This type of measurement is rarely indicated in the marketing materials for an interchangeable lens, even though it could be. To calculate the optical zoom for an interchangeable lens, divide the largest telephoto focal length at which the lens can record an image (such as 200mm in the example listed above) by the widest angle focal length of the lens (25mm in the above example). So 200 divided by 25 would yield an optical zoom measurement of 8X. Typically the lens on a fixed lens camera is going to give you a greater optical zoom range than what you can find with any zoom lens made for an interchangeable lens camera. If you have a 25X optical zoom lens with your point and shoot camera, don’t expect to duplicate that measurement in your advanced interchangeable lens, as the cost would be prohibitive for that type of lens.